“It’s so hard for people who share children with narcissistic individuals because sadly, most people don’t understand what they need to do in a shared-custody situation”. Kim Saeed, a No Contact Coach, shares her story of suffering and survival from emotional abuse at the hands of a narcissist husband. Why is No Contact Important When You’re Involved With a Narcissist? Kim Saeed is a No Contact Coach, an author, and an expert who has been helping survivors of narcissistic and emotional abuse. Her articles and blogs generally emphasize having no contact with the narcissist. From her personal life experience, Kim has been able to point out the reason why one should hit the red button if one’s partner is a narcissist. She lived with a narcissist for 8 years, and even had a son with him, but she couldn’t let go of her abuser easily because she was emotionally attached. Every rational human being feels they shouldn’t give up hope, but it is wiser to realize that it’s an illusion with these individuals. “It took me a lot of time to detach from my ex. I was just too emotional and that was how I broke down,” says Kim. Emotional trauma is a particularly insidious form of social abuse. It’s overwhelming to see that a lot of people don’t realize that emotional trauma is the vehicle for injury. It can shrink one’s hippocampus which is in charge of our short and long term memory. The hippocampus is involved in the formation of new memories and is also associated with learning and emotions. Narcissistic abuse is an insidious form of emotional abuse. This is where the no-contact rule applies. No contact is completely blocking a person out of your life. No contact helped Kim to recover from narcissistic abuse from her ex. 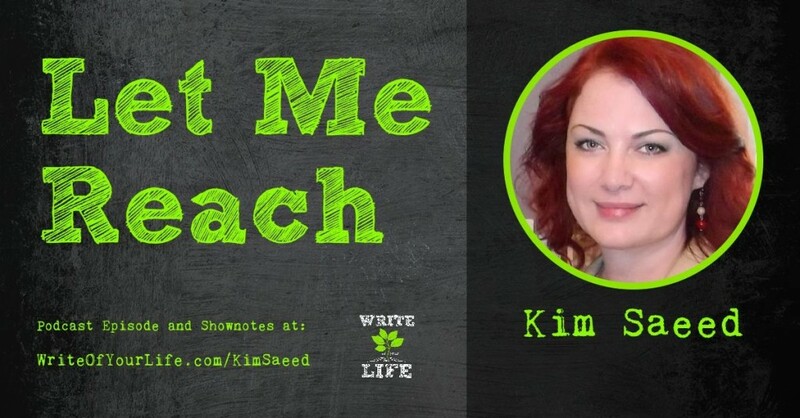 Through writing about her own story, Kim inspired many folks who previously refused to speak out on these issues. Writing about it also birthed her phoenix process. As humans we tend to forget those traumatic experiences, so it’s important to write them down as they happen, this will help you to see clearly and you can look back and say yes this happened on that day. When she started blogging about her situation, she was motivated by online comments eventually making her feel there are other people who have similar or even more horrible experiences. When you start writing, don’t be surprised if it brings up some repressed memories and repressed emotions because these will help to work out the regrets of the past. 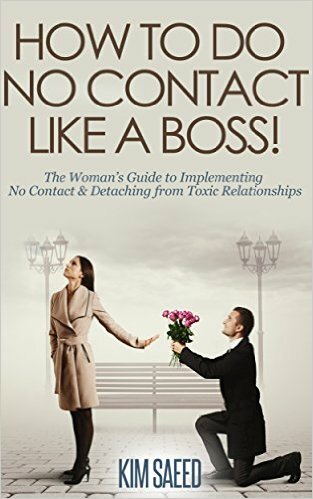 Her recently published book – How To Do You No Contact Like A Boss! educates people about No Contact as well as Modified Contact for those who have children with their ex and who are on the verge of leaving. Sandra Brown who wrote Woman Who Love Psychopaths. She states that psychopathy is actually our number one health risk. It cost ten times more than depression does. Gas lighting is defined by things that the narcissist does and says to make you doubt your perception and lose faith in yourself and your ability to make intelligent choices and decisions. Isolation from friends and family, either because your partner wanted that or over time you just got so embarrassed about it, you wanted to hide the abuse. You regularly forget the bad things that happen. The solution is to write down things down that happen to you. Many times you can’t talk to friends and family because they don’t understand. Writing helps you remember, and to process those feelings. Be your own advocate — that’s why you should write down the events that happen. Writing also helps keep your sanity in check. Start planning and implement that No Contact as soon as possible. This helps in trying to get rid of the biochemical addiction which takes extreme discipline. Download Kim’s free give-away – a 30-day No Contact calendar. 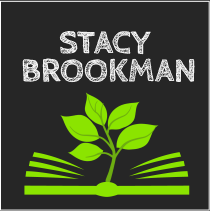 It’s a visual check list included with daily tips, healing resources, guided meditations or recommended books. 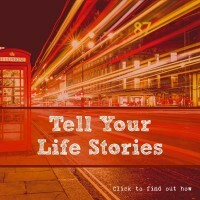 Kim Saeed is an Empowerment Blogger, No Contact Coach, Relationship Coach, Self-Esteem Coach, Best-selling Author, Healing Facilitator, and Radio Guest Expert. 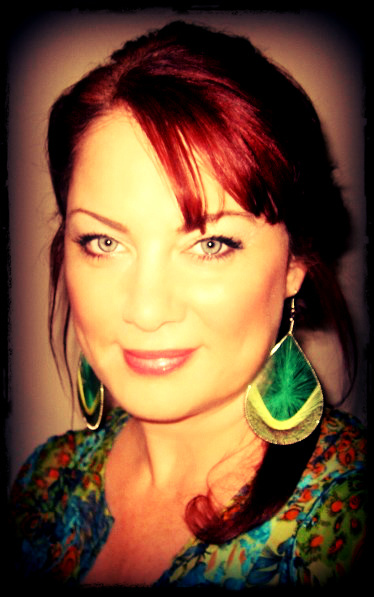 Her areas of expertise include helping survivors of narcissistic and emotional abuse to detach and begin their journey of recovery through changing their limiting narrative scripts and learning holistic healing methods. She has inspired people world-wide by helping them leave their own unhealthy relationships, overcome their limiting beliefs, and empowering them to rise above their destructive patterns so they can live the joyful lives they deserve. Following her own painful relationships (which she later discovered were with narcissists (one overt; one covert), she left her career as an elementary school teacher to embark on what has now become a global campaign for empowering men and women to leave unhealthy relationships and reclaim their personal power and self-love. Kim holds a Bachelor of Arts in Education and has a multidisciplinary background including expertise in teaching, banking, organizational development, HR training, research, and database management. An interesting fact about Kim is that she started her student teaching in Egypt during the first political uprising there in 2011. 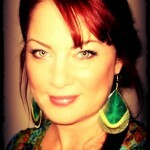 You can find Kim at www.letmereach.com. I’m in a relationship with a man who I believe has narcissistic personality, it’s going on 8 yrs, I have become somebody I don’t know, I tried Communicating I know what my needs are. he doesn’t want to talk or hear any of my concerns. all I hear is you worry too much and your negative. I read the book how to go no contact like a boss. I change my number didn’t tell him I was going to it lasted less than two weeks before I found myself wanting to contact him and I end up giving in to it. now we’re talking again like nothing happened. I can’t shake the feeling of emptiness and loneliness when I’m with him. I could go on and on about the nightmare I’m leaving. but it wouldn’t change the fact it seems hard to leave and let go Of something I know it’s never going to change. I know he can never give me what I deserve. I feel trapped I tried talking to a counselor that knew about narcissistic personality disorder. after talking to her and she knew nothing at all of what I’ve experienced. I read I research that somewhere down deep I hold on To hope even though I don’t see any, will I ever go no contact and be able to stick to it. I’m hoping to find some kind of hope and some helpful advice on this website. thank you for your time. Sincerely walking through the shadow of death. I experience the same emotions. I am dead set with the No Contact, then 2 months later I cave in, yuck! I even moved to his hometown and have 2 jobs. Left today and I blocked his nasty messages. I really have to believe that I will keep the No Contact this time. I have watched Kim’s youtube videos and listened to her interview. As a person who was involved with an NPD; not only married to one, but his entire NPD family, I think her advice is spot on. Not only did I have a child with this person, I raised his children from his first marriage in which his wife died from complications of Lupus. There should be screening for people that have NPD and they should have to go live on their own island because of their inability to love and all the damage and destruction they spew out on their so-called nearest and dearest. As Peggy in the comment above mentioned: It is like walking through the shadow of death. I was afraid and the only reason I stayed for 15 years is because I wanted a family and I didn’t want to leave my step-children without a second mother. After suffering a breakdown, I knew I couldn’t save anyone. Where does it all end? After my divorce I cried every day and night for 3 years. What he has done to me and my relationship with my children is just disgusting. The manipulation and undermining is unbelievable and the confusion and chaos is debilitating. I have been in counseling for 10 years and a wonderful therapist and have moved on the best I can, but the character assassination has left me lonely and humiliated. He is a person of authority and power in the community and is always on television and in the paper. I pray that there one day is an end to domestic violence and that these people would somehow gain the insight they need to stop hurting and damaging others and a way to cease the murder of many children’s souls.